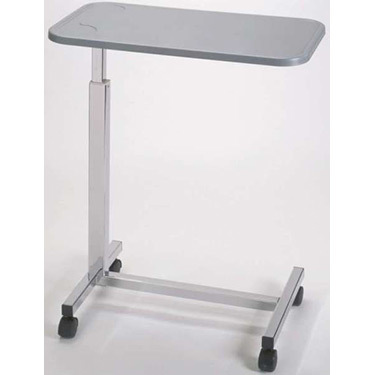 The Composite-Top Overbed Table by Medline is easy-to-clean and impervious to moisture. This table, with a 30" x 15" molded composite top, is a smart alternative to wood, which over time has the potential to crack or peel, creating sharp edges and a breeding ground for bacteria. Plus, this convenient design easily adjusts from 30" to 47" with one hand. Constructed with a durable chrome base.